Does living through your “existence period” mean you are truly an independent human being? Richard Ford attempted to answer that question in Independence Day, the second novel in the critically acclaimed Frank Bascombe series. Last year, I reviewed The Sportswriter, the first novel in this series, and came away with the impression of Frank Bascombe as an unlikable but compelling character as he dealt with the loss of a child, the unraveling of his marriage and failed career as a sportswriter. I had decided I was not going to read anymore of the Frank Bascombe books after The Sportswriter. I was wrong. The story picks up several years later in Independence Day with Frank in his mid 40’s going through his “existence period.” He is a realtor in Haddam, New Jersey and lives in his ex-wife’s house. While, she has remarried and taken the kids to Connecticut to live with her new husband. Independence Day takes place on the fourth of July weekend where Frank decides to pick up his son, Paul, from his ex-wife’s house and takes him to the Basketball and Baseball Hall of Fame Centers on a father-son bonding trip. The bonding trip does not go as expected and Frank comes to terms with some realities as this stage of his life. 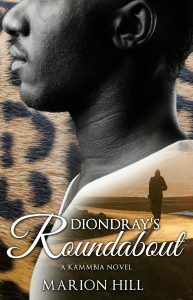 The novel takes place in the late 1980s where Governor Dukakis of Massachusetts is running for president and Bascombe expresses his views about the governor’s candidacy. Also, Frank ruminates about real estate, love, family, and what does it all truly mean. 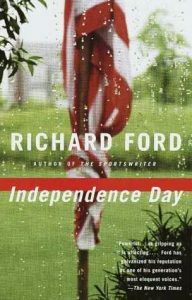 Independence Day meanders quite a bit but Ford is such a thoughtful writer that I did not mind going on the detour of Bascombe’s life throughout the novel. While, I believe that The Sportswriter is a more focused book than Independence Day, I still enjoyed the novel quite a bit and I’m looking forward to reading The Lay of the Land, the third novel in the Bascombe series.